Tuesday, Nov. 13, 2018, 3:30 – 5 p.m.
Europe has taken unprecedented levels of peacetime defensive actions against the perceived demands by African migrants for “absolute hospitality”. In collaboration with politicians across the Mediterranean, European political leaders are authoring a chronotope that removes Africa and Africans from global time. This discursive vision rests on an epistemological reorientation coding all Africans as potential migrants capable of threatening European and African sovereignty and security. This conceptual realignment has seeded a defensive assemblage of coercive controls, sociologies of knowledge, and a campaign to generate sedentary African subjects. Ultimately it is engendering “containment development” aimed at geographically localizing Africans’ desires and imaginations. In an era of planetary entanglement and exchange, this discursively and materially excludes Africans from what it means to be fully human. Loren B Landau is the South African Research Chair in Human Mobility and the Politics of Difference based at the University of the Witwatersrand’s African Centre for Migration & Society. 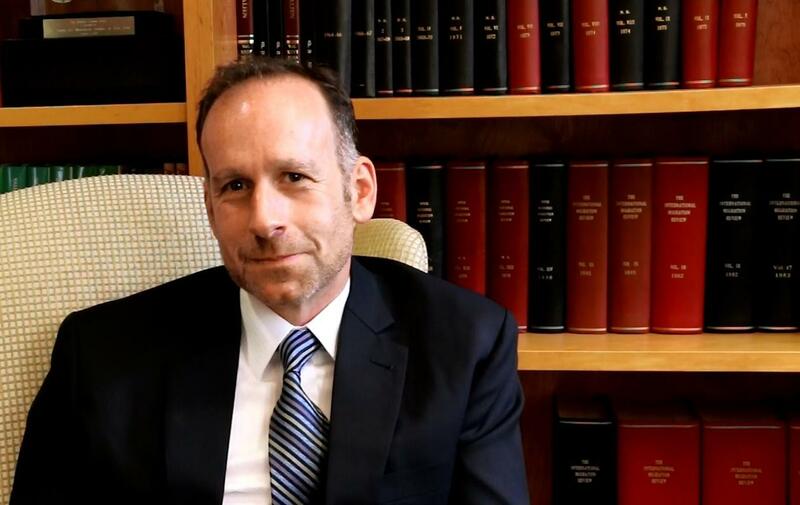 He has previously held visiting and faculty positions at Princeton and Georgetown Universities and the Fletcher School of Law and Diplomacy. A publically engaged scholar, his interdisciplinary work explores human mobility, community, and transformations in the spatial and temporal bases of political authority. He has published widely in the academic and popular press and is a frequent media resource on regional and global migration policy debates. Publications include, The Humanitarian Hangover: Displacement, Aid, and Transformation in Western Tanzania (Wits Press); Forging African Communities: Mobility, Integration, and Belonging (Palgrave); I Want to Go Home Forever: Stories of Becoming and Belonging in South Africa’s Great Metropolis (Wits Press); Contemporary Migration to South Africa (World Bank); and Exorcising the Demons Within: Xenophobia, Violence and Statecraft in Contemporary South Africa (UN University Press/Wits Press). He is on the editorial boards of Environment and Planning D: Society & Space; Migration Studies, and the Journal of Refugee Studies and has served as the chair of the Consortium for Refugees and Migrants in South Africa (CoRMSA), as a member of the South African Immigration Advisory Board, and as an advisor to the Cities Alliance. He holds an MSc in Development Studies (LSE) and a PhD in Political Science (Berkeley).